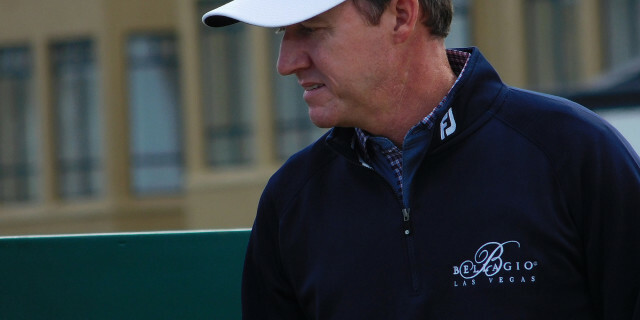 THERE would be no popular winner of the Valero Texas Open than local boy and crowd favourite Jimmy Walker. The 2016 US PGA champion has endured a miserable 16 months after being diagnosed with Lyme Disease, a debilitating condition that left him with no energy. He revealed at this tournament 12 months ago that he was suffering from the bacterial condition and although he tried to keep playing, in the end he was forced to take a break from the game from August until January. The disease is transmitted to humans through the bite of infected ticks and Walker believes it happened during a hunting trip at the end of 2016. Walker was diagnosed 12 months ago. He was sick on a regular basis and was unable to concentrate on anything. To make matters worse, he suffered an adverse reaction to his medication, including making his skin sensitive to the sun, so much so that at last year’s Players Championship he suffered sun blisters on his ears, hands and forearms. It has been a dreadful time for Walker and it is entirely understandable that golf has not been one of his priorities, but he returns to action in his home state finally feeling healthier. "There’s a mental and physical part to go along with Lyme disease. I physically feel a lot better,” said Walker, who turns 39 on Jan. 16. “ ... I just know I’m getting better. I still have some of the forgetfulness and just things slip out of your head. Throughout the day, I feel really good. Every now and then I’ll kind of get a little feeling, and then it just goes away. So I know it’s getting better, where before it would last weeks on end. “It’s nice to get back out here. It’s a good place to start. I’ve got a lot of really, really good memories here. I’ve played some phenomenal golf here. So it’s all right out there.” Walker won the tourament three years ago. He has also been playing some much improved golf of late. He tied for eighth place at the AT&T Pebble Beach Pro-Am in February and was a model of consistency in finishing 20th at The Masters, where he had rounds of 73, 71, 71 and 71. Ryan Palmer is another proud Texan who will want to do well in front of his local fans. In recent times he has had to deal with the death of his father – something that, quite naturally enough, affected him deeply – and has struggled with injury and further personal turmoil. He started the season on a major medical extension under the PGA Tour’s family crisis provision as his wife underwent chemotherapy and while all of this was going on, he suffered a shoulder injury and had to have an operation. He had six tournament to score 29 FedEx Cup points. Palmer closed with rounds of 67 and 71 at the Career Builder Challenge to finish 20th. It was good enough to secure his rights for the rest of the year. And with the pressure off his shoulders, Palmer headed to the Farmers Insurance Open at Torrey Pines in San Diego. He came within a whisker of winning the tournament. Palmer had rounds of 66, 67, 73 and 72, making a birdie at the final hole to join a playoff with Jason Day and Alex Noren. Palmer was eliminated at the first playoff hole and Day went on to win. But for Palmer it represented a huge week. 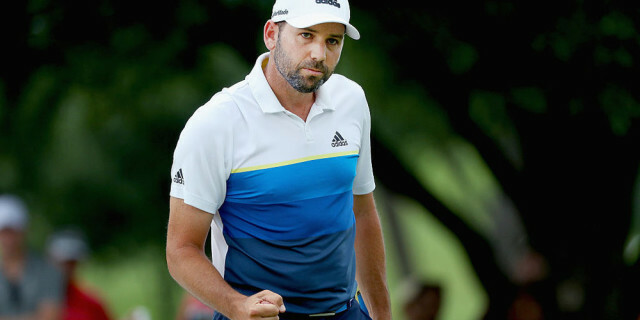 He is a three-time winner on the PGA Tour, but the last of those came in 2010 at the Sony Open. He would be a hugely popular winner in Texas and it has to be said that nobody would begrudge it to him or Walker. Kevin Chappell is the defending champion. It was won in 2011 by Brendan Steele, in 2012 by Ben Curtis (remember him? ), in 2013 by Martin Laird, in 2014 by Steven Bowditch, in 2015 by Walker and in 2016 by Charley Hoffman.